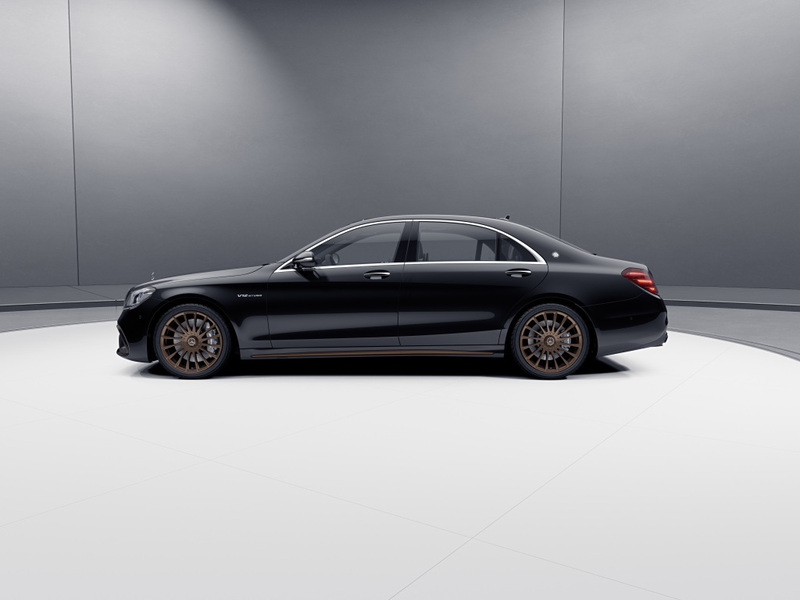 This thuggish special edition S-Class gets bronze wheels, bronze stitching, and black exhaust tips. 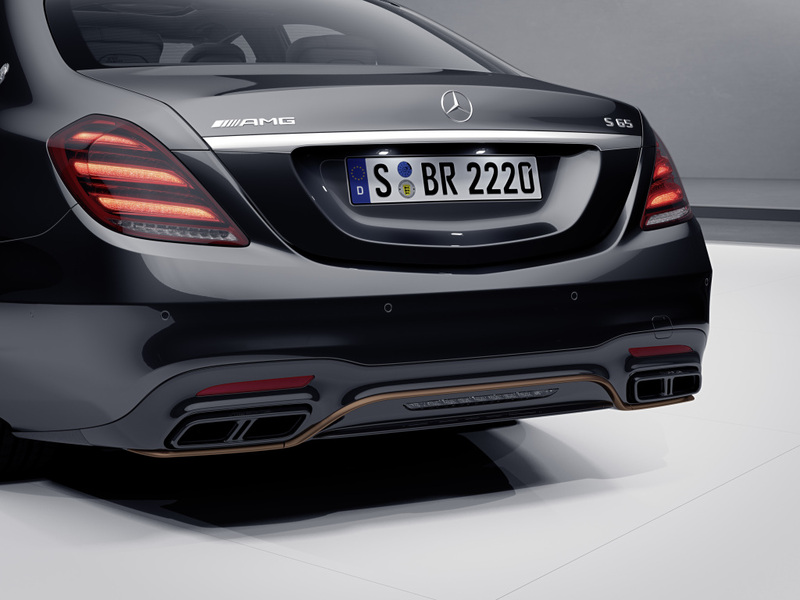 It sounds like Mercedes-AMG is marking the end of an era, introducing a special edition of its S65—not to be confused with the V-8 S63—that might just be Merc's last V-12 car ever. 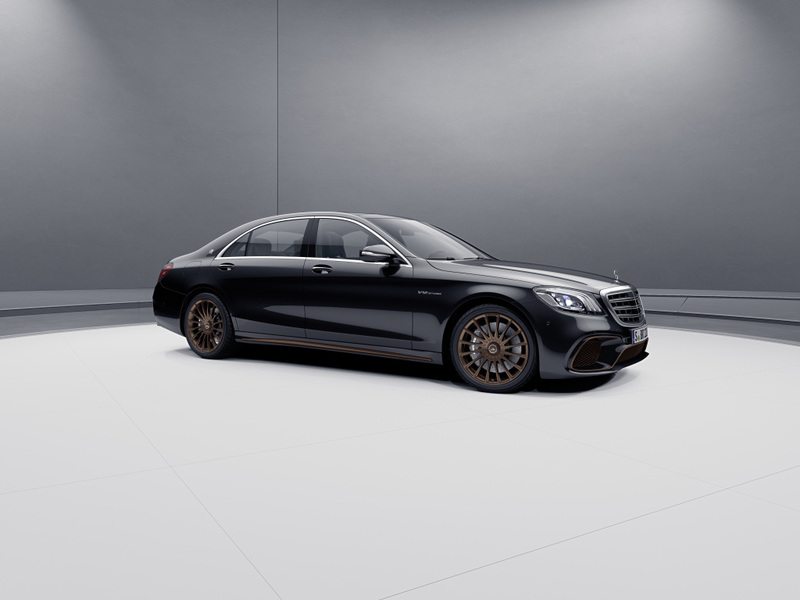 Dubbed the Final Edition, this bronze-wheeled limousine will be limited to just 130 examples and feature the company's beastly 6.0-liter V-12 bi-turbo good for 630 horsepower. The car will come exclusively in black and get 20-inch wheels finished in the aforementioned matte bronze, bronze accents on its grilles, side skirts, and rear diffuser, and gloss black exhaust finishers, resulting in a sinister, drug lord-esque aesthetic. 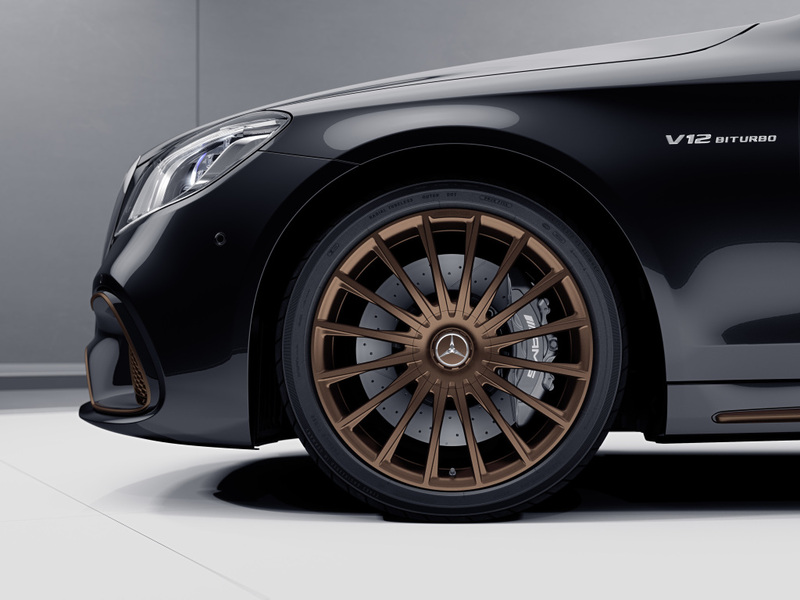 It's also got an interior to match, featuring black nappa leather with copper contrast stitching, black carbon trim with a subtle copper weave, and of course, a "1 of 130" badge telling its nefarious owner this isn't just any standard-issue S-Class. Not too dissimilar to what Audi did with its devilishly bronze-wheeled R8 V10 Decennium, then. That car was built to celebrate the R8 V10's tenth birthday. 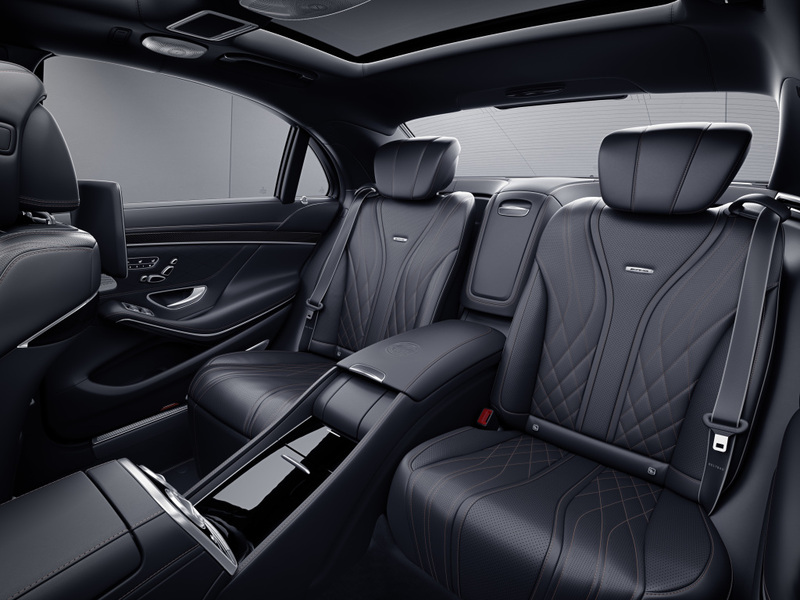 Other standard equipment found on the S65 Final Edition includes the Magic Sky Control pano roof, temperature-controlled cup holders, 12 motors in each seat adapting to the occupant's height, and the AMG Driver's package that unlocks a top speed of 186 miles per hour. Oh, and the special S-Class also comes with its own, Final Edition-branded car cover. Wouldn't want to get dust on that shiny black paint, now would we? While Mercedes hasn't officially made any statements on the future of the V-12, we wouldn't be surprised at all if this really is the company's last 12-cylinder. In an age when the luxury car racket's biggest market taxes the hell out of anything bigger than four liters, turbocharged four-bangers are the new V-6, and Ferrari is working on a hybrid supercar, a big, stonking V-12 seems like something out of a bygone era. Goodnight, sweet and sunny prince. This thing is the scheisse. The Audi R8 V10 Decennium will be limited to 222 units and cost 222,000 euros. Coincidence? Probably not.